We all know that the heritage we get from our Mum and Dad is 50/50, half from each of them. But as an adoptee, I don’t know whom this and that comes from, every little thing that makes me who I am. Whenever I cook or do housework, I like to listen to soft music, like ballads, or Irish songs by Enya, Maire Brennan or Clannad. When I go for walks I prefer to walk through the forest, or by the sea. 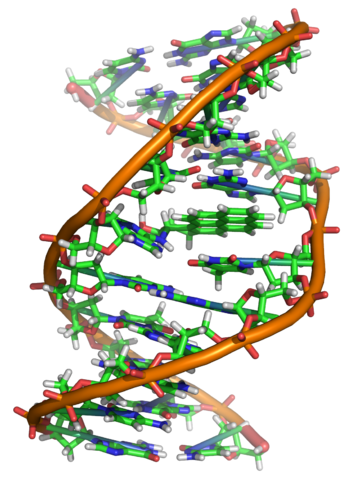 Whenever I admire a sunset or a rainbow, or listen to raindrops, which genes are shouting loudest? Did they both enjoy all those things, or did just one of them? I like my food hot and spicy, I got a really raw gallows humour, love watching science-fiction movies as well as action, drama or pirate stories, and I wonder which of them would have liked the same things that I do. How much of my personality comes from Mum, and how much from Dad? There are things that make me smile on good days, and then there are things that really piss me off on bad days. How I relate to the world around me, how I resonate with it, the way I do things, what I think is beautiful or ugly, the fact that I love animals, flowers, nature, music and baking, how do these things stand up as a mirror image of one parent or the other? Did my mother love to cook and bake? What interests did she have, or hobbies if any? Did my father love to go fishing, as I do? Or work with wood? Why are my interests what they are? They are a part of me, have always been there, more or less. I’ve been looking into the mirror for more than forty years, and it has always frustrated me that I do not know my story, even the littlest things in life, and I really miss knowing them. Like, do I have my mother’s nose, or my father’s? Whose were the cheeks, eyes, dimples or ears that I inherited? Or who do I blame for my straight hair, when I always wished I had curls? I inherited everything from them, but I’ve never managed to find out what from whom. And it would have been nice to know those things, little as they may be, though everyone else take them for granted. Most people grow up hearing how they got their mother’s eyes, or their father’s height. I can only guess and try to piece together little bits of a big puzzle with no clue, and then decide for myself whether I believe them to be true. How can I figure out what is heritage, and what I’ve managed to teach myself out of free will? Was either my mother or my father interested in growing herbs? Because that’s one of the things I have planned for my future garden. I would like to think that what I’ve learned is my own doing, but we all carry the genes of our parents. They decide almost everything about our personality, our abilities, the way we think and feel. 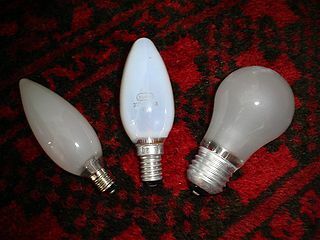 They decide whether we become one of the brighter bulbs in the box, how well we solve problems and face challenges like stress and all kinds of little everyday problems. I think about these things once in a while, and they will always remain a mystery to me. Whether I got my father’s temper or my mothers patience, or was it the other way around? I am a very sensitive person. I feel for people and animals who struggle, one way or the other. Did I get that from my parents? I like to think so. I can be stubborn as hell, and I can laugh so hard I lie on the floor until I cant breathe anymore. I can be angry and slam the doors so hard that the house shakes, or so sad that I just sit in the sofa and feel completely paralyzed. So am I a mirror image of both of my parents? Then their personalities would be kaleidoscopes of variation too. If I only knew. How much do I owe the world? I’m so pissed off and tired from being expected to be grateful. For how long? The rest of my life? How long must I continue to meet those looks that tell me I’m ungrateful for the life I have here? I try to tell the world, but it goes in one ear and out the other. I have to struggle to get help, to have people believe that I carry severe issues because of being adopted. So here is my announcement to the world, of why I can’t simply move on, much as I wish that I could. How can I ever forget my Korean past? It’s a huge part of me and who I am. It’s in my flesh and blood, and in my soul. I had a pair of loving, natural parents before I was adopted. Sadly my mother died suddenly, and my father had a hard time trying to feed four children. He needed help, and if anyone had given him that in 1969, he would still have had all his children, and I would still have had my family. Desperate, my father was forced to give up his youngest, me, for a while. I was temporarily placed in a children’s home, to be returned to him when he had managed to get back on his feet and was able to take care of me. Instead the home gave me away to be adopted as an orphan. To make a long story short, I ended up in Norway with a pair of adoptive parents who gave me a very abusive childhood, yet kept telling me how lucky I was and how much of a blessing it was for me. I was ‘a very poor child, saved from starvation, suffering and quite likely death in Korea’, and my natural parents were not to be mentioned because my journals clearly stated that I was legally an orphan. 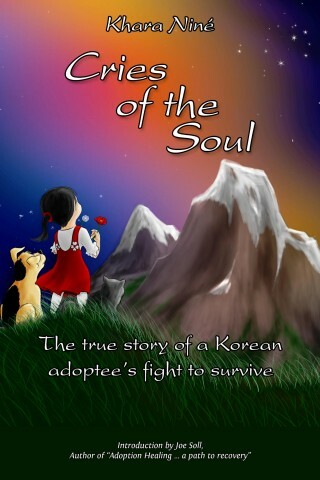 But what can a little girl do when Korea and Norway both make it legal to rip her apart from her blood family? There’s not a single day that I manage not to think about what life could have been. It’s part of my issues as an adult adoptee, and it makes me feel sad and lonely. Is there a bigger lie than the word adoption? It means to raise as one’s own child, but it might as well just be called denial, because that is what it really is. It’s not beautiful, it’s not compassion, and certainly not a blessing. It’s simply a huge tragedy for the adopted child, and for her natural family. I struggle and cry because I feel that my life is messed up. You see, there is no ‘off’ button. I can’t forget that at the same time as I grew up in an abusive home with my adoptive parents, I had a father in Korea who loved me and was searching for me for the rest of his life. That is why I can’t forget, move on or get a grip on myself, no matter how hard I try. Because I am in a kind of Limbo, paralyzed, my inner child is still in shock, and I am still grieving. And I’m afraid that I may not ever find the inner peace that I am looking for. It’s too late to meet my father in this world. I wish with all my heart that this was only a nightmare, but it’s the ugly truth and one of the darkest sides of Adoption Land – a land where all lies become truth, and the world smiles at you and says that being adopted is just as perfect as any other normal life. But the truth is that in a perfect life, adoption wouldn’t exist. Now I’m paying the price of my adoption by living in a quagmire of loneliness and abandonment. I don’t think anyone will be able to understand this feeling unless they are themselves adopted. I know nothing about my family tree or family health history, or my relatives in Korea. I can’t recall the faded faces of my parents anymore, nor their voices, lullabies or whispers, or their tears. All of that is lost forever, and the aching in my heart hurts so terribly much. I can only dream of some day sitting beside my parents’ grave, the closest I will ever get to meeting them again. I feel that if anybody owes anybody anything, then both Norway and Korea owe me a trip back to what used to be my home, to see the house where I was born, meet my relatives, and visit my parents’ grave, so that at last I can shed all those tears that I have hidden inside of me all my life. I can’t yet afford this myself. The way I see it, I don’t owe the world anything! It is the world that owes me the courtesy of helping me go and say a last farewell to the most important people in my life, my natural parents. And to try to help me heal, if that is possible. Why can’t I stop crying? Please, God, help me, hear my prayer, let this little girl finally find her way home. 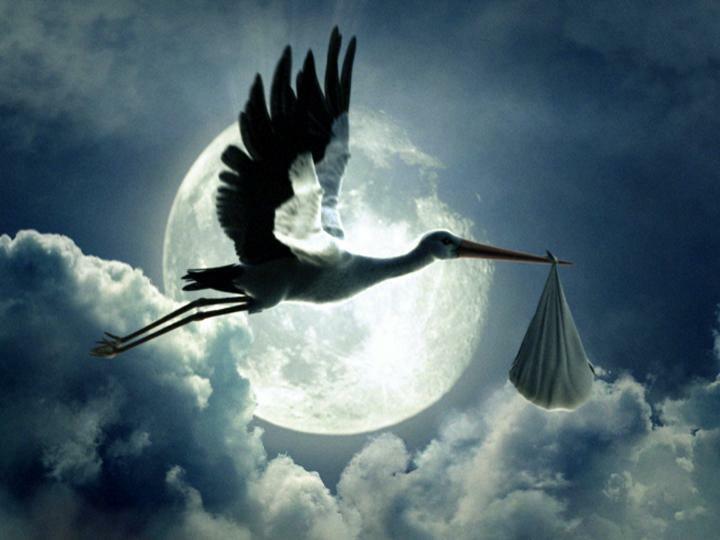 Before I continue, I would just like to state for the record that I know very well that all babies are delivered by Stork, not just the ones who are adopted. Also, I ask you to read this with an open mind, as well as a dose of humour. I was inspired to write this post when I read about a natural mother who praised the opportunity to give her baby up for adoption. She was a Christian, and her life was so blessed because she could help another couple to become a family. It sounded like a tragic and twisted fairytale. Men are from Mars, and women from Venus, adoptive parents are from Dreamland and Adoptees come from some Unspeakable Secret Place somewhere, maybe on the Dark Side of the Moon. These days we arrive by Jumbo-Jet, since the Stork retired a long time ago of old age. He was worn out completely from having to deliver far too many of us around the world. Maybe that’s the reason why some of us have a fear of heights? We are the ones who are dropped in the fields among the cabbages, or on the top shelf in the store along with the cuddly brown teddy bears, or brought by Santa on Christmas Eve to be stuffed in stockings with ribbons and glitter, or gift-wrapped under the Christmas tree next to a puppy. Perhaps we were sown as seeds in a flower bed, and popped out of a lotus. Or maybe Mommy laid an egg in a country far, far away, and had it mailed to this address. Or our new parents drew a ticket in line at St. Peter’s Baby Delivery Department, and when their number was called we came sliding off a rainbow and into their arms to receive all the love that they had in store for us. To many adopters we are, or at least we’re supposed to be, the final pieces in their puzzle to make their dream complete, a naive dream of helping poor children because they have so much love to spare. No-one can predict what the future will be, or guarantee that adopted children arrive into nice, harmonious families, as many Christian families like to call themselves. They praise the Lord and the glory of adoption, and speak of how beautiful and wonderful it is, ever since Moses was sent off in a basket on the river by his mother, the Jewish woman Jochebed in Egypt, and was raised by another woman, who was the daughter of the Pharaoh. Nowhere does it say what Jochebed must have felt, being the first woman to give up her child to adoption, at least according to the Bible. When are the adoptive parents going to wake up from their Dreamland? When is the world going to wake up and see the many difficulties that so many adoptees have to struggle with? Reality is cruel and hard, and the phrase ‘they lived happily ever after’ doesn’t exist in the Land of Adoptions. Ask any of the mothers who have lost their babies to adoption for any number of reasons. Ask any of us adoptees who dare to speak up and are not in denial. Our destinies might as well be decided by the rolling of dice, and the adoption agencies give themselves the authority to roll them on behalf of God. The claim that adoption is done in good faith, and that the agencies work hard to ensure that every adopted child ends up with a good, Christian family, is just another lie. It’s time to move from Dreamland and into Reality of 2012. Amen to that.